I am not a lady in distress until I became a student of Advertising and Public Relations. Tons of stuff should be accomplished in a given time at a given date. Turns out that some of my activities are already overdue because I didn't get to organize the things that I was supposed to do. Good thing that I saw someone who's an epitome of organizing herself-my eldest sister Paula. And what makes her so organized? 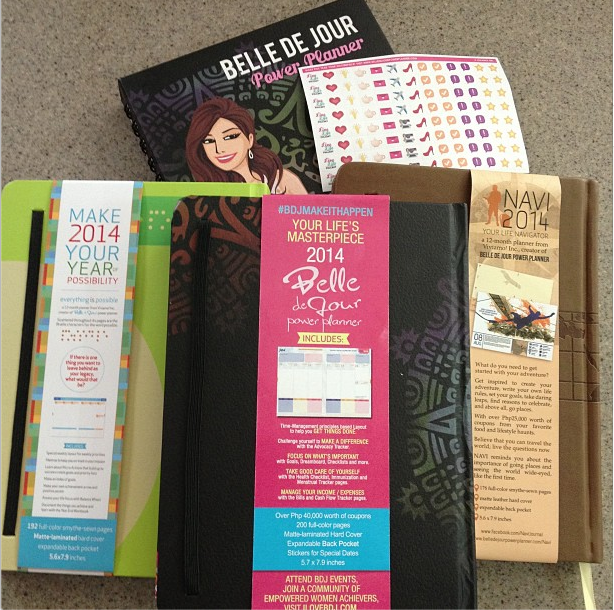 The Belle De Jour Power Planner! I was so jealous of her planner because it's too beautiful not to be unseen! 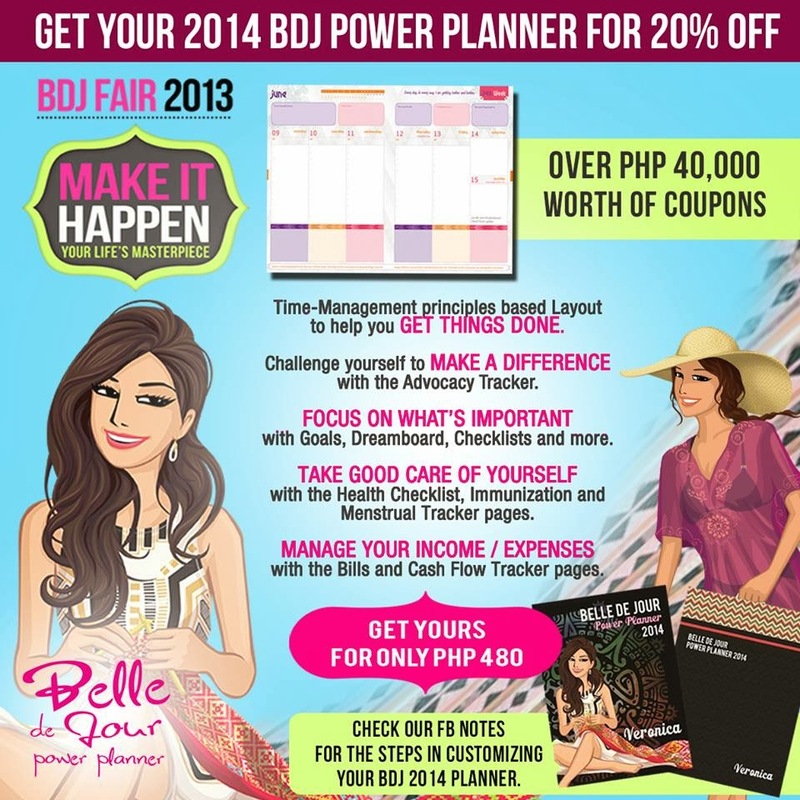 So Belle De Jour is bringing in the BDJ Fair 2013 for every bellatoscorein their 2014 power planners! The fun part is that their are also fun activities and exclusive talks from different ladies who've become the best of what they are now! A planner is something that motivates us, right girls? What more if we grab one of these planners which is very interactive because of what's inside it? This are all the planners that Bellas can choose from. The BelleDe Jour Power Planner, the NAVI: Your Life Navigator Planner, and Everything is Possible! Lovely planners I have to say! Surprise! 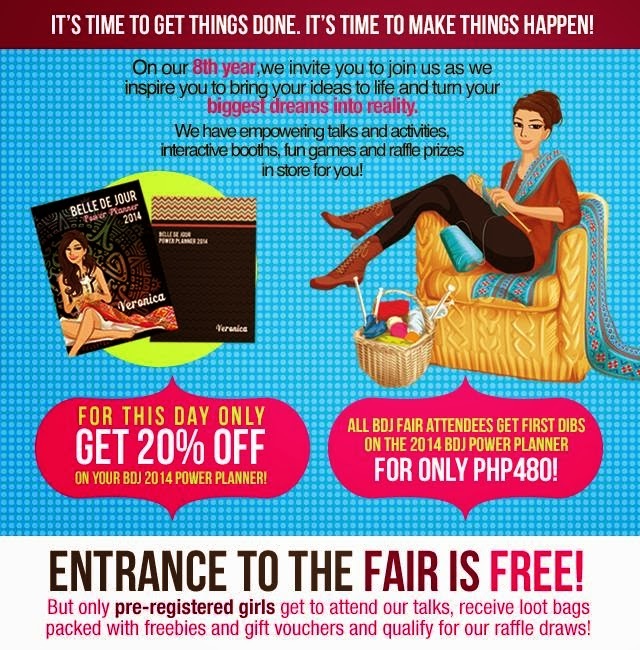 At the BDJ Fair, all attendees get their own 2014 planner at 480 php only. What a deal! What's so great about the planner this year is that the planner also comes up with pretty stickers to personalize your organizing experience. 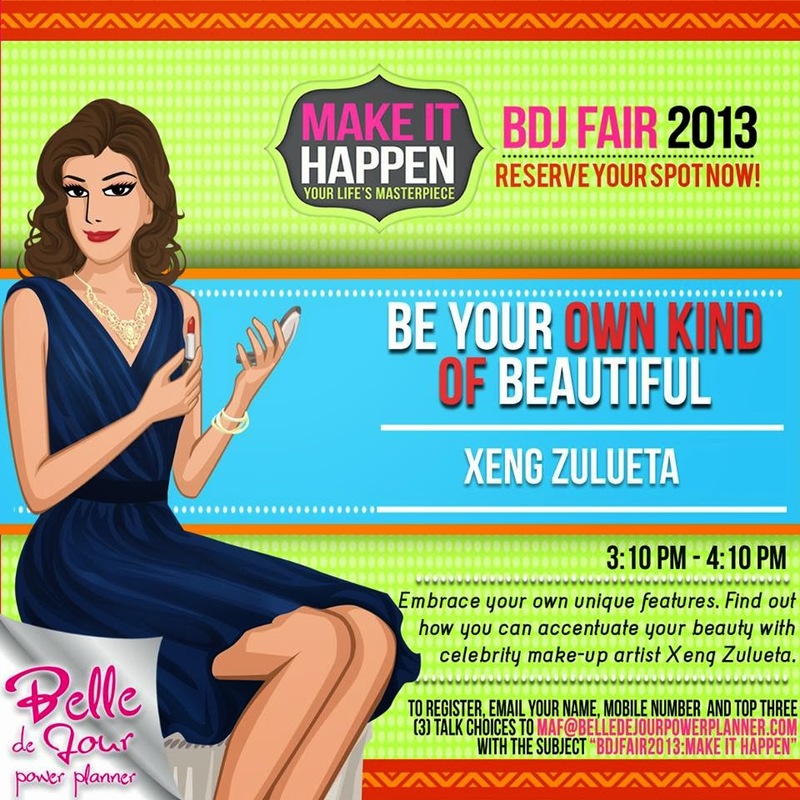 Inviting you to the BDJ Fair 2013 : #MakeItHappen on October 13 (Sunday) at the SM Mall of Asia Music Hall. Entrance is free, walk-ins welcome. But pre-registered girls have special perks. I bet you want to have those perks too, ayt? So i'll see you on the 13th?